Tis the season of great food! Christmas is the perfect time to cook, bake and experiment with new recipes. But we can’t forget the all-important Christmas shopping! Combine these two things together and you’ve got a recipe for the perfect Christmas. 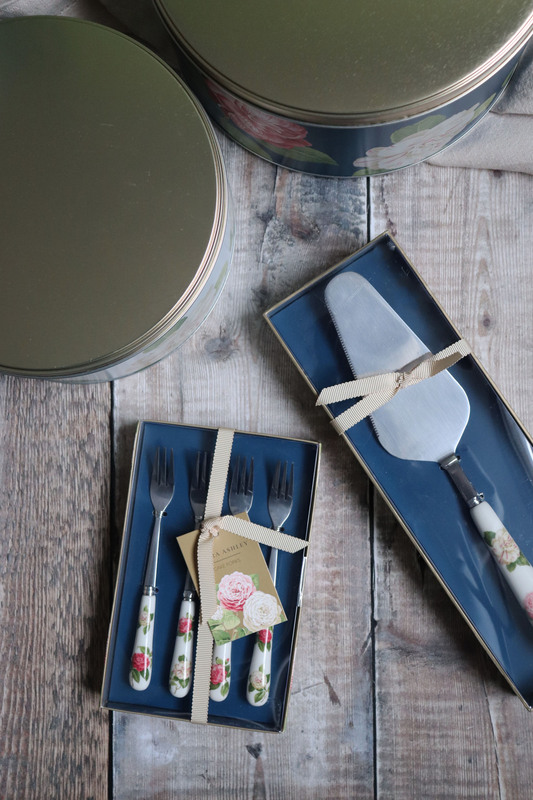 We all know a keen baker, so what better present than the gift of helping their delicious hobby… after all, the more they bake, the more you get to eat! 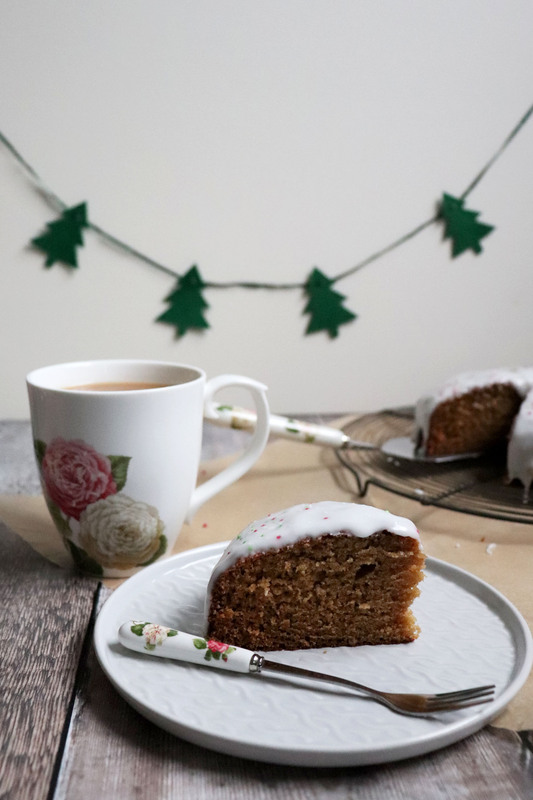 Great British Bake Off contestant, Martha Collison shares her recipe for a scrumptious Honey & Spice Cake, whilst sharing her thoughts on the perfect Christmas gifts from the Laura Ashley baking accessories range, available at Boots UK. 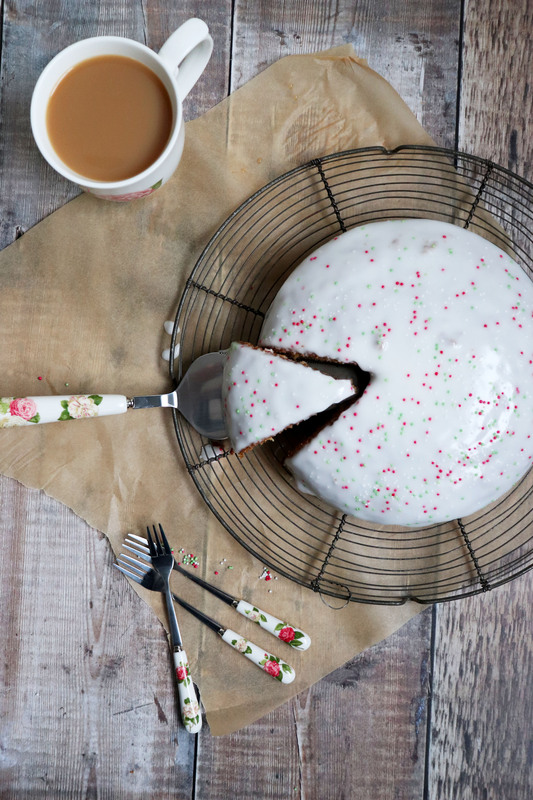 If you’ve not got time to bake up your own delights in the kitchen, fear not! 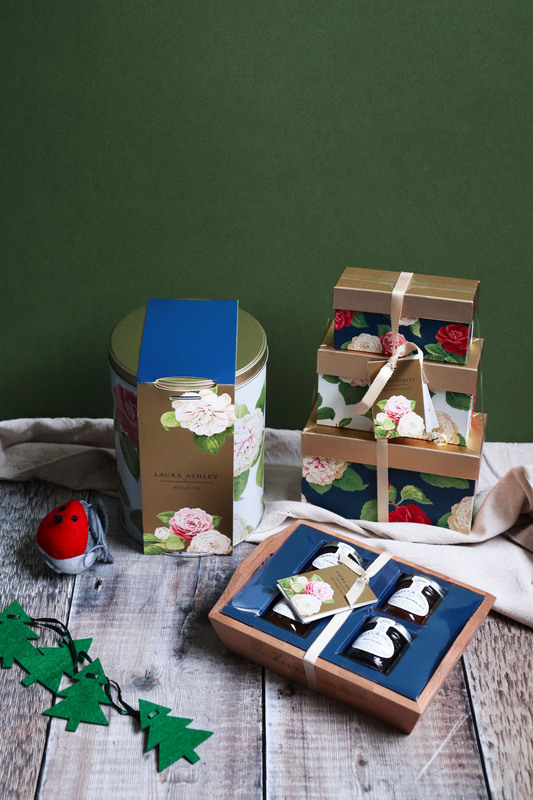 The Laura Ashley biscuit tin is already full of orange and cranberry, lemon and fruit and chocolate chip cookies, or the beautifully packaged stacking boxes contain all kinds of delicious things. Preheat the oven to 180oC/160oC fan/gas mark 4 and grease and line a 20cm round cake tin with baking parchment. Melt the butter, sugar and honey together in a large saucepan over a low heat until the mixture no longer feels grainy and the butter has completely melted. Remove from the heat and allow to cool slightly whilst you continue the recipe. Combine the flour, baking powder, bicarbonate of soda and spices in a small bowl. Stir the milk into the butter mixture, then beat in both of the eggs. Whisk in the dry ingredients until a smooth batter forms, then pour the mixture into the prepared tin. Bake the cake for 30-35 minutes, or until the top of the cake is firm and a skewer inserted has a few sticky crumbs and no raw batter on it. Allow the cake to cool for 5 minutes in the tin. Mix together the icing sugar with the milk and honey to make a thick icing. 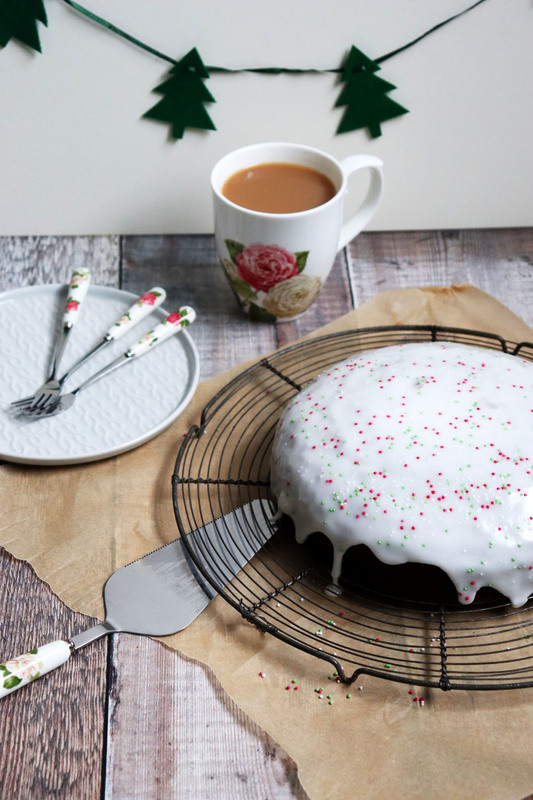 Pour over the hot cake and then sprinkle the top of the cake with a few Christmas sprinkles. 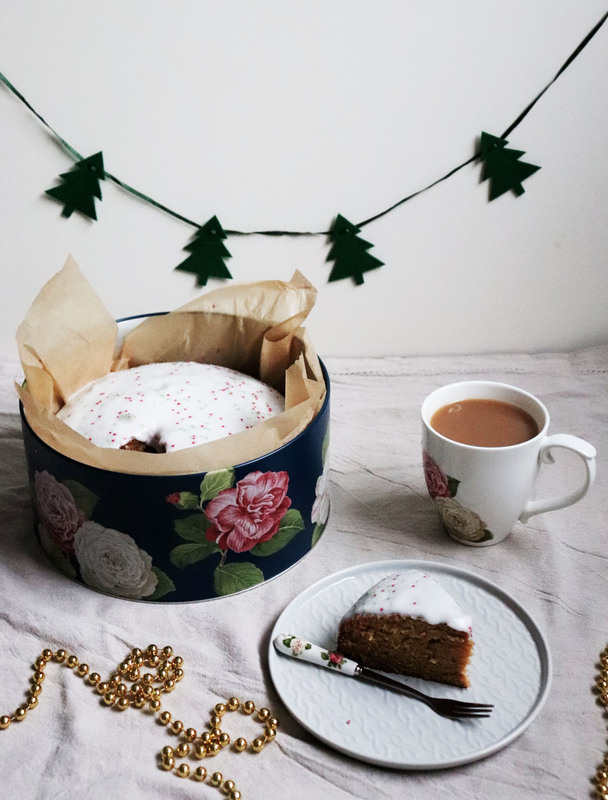 This cake is delicious served warm, or will keep for 1-2 week in an airtight tin and kept in a cool place.